Thanksgiving Guilt Be Gone Circuit! It’s Monday. Thanksgiving weekend is behind you. The dust has settled, and you’re surveying the damage. Even if you didn’t go completely whole hog over the holiday, you probably a) ate more than necessary, b) ate some things you’re now feeling a little guilty about, or c) both a) and b). My suggestion to you is this: give yourself a break. Leave the past in the past and get yourself back on track in the here and now. I’ve got a workout to help get you started. It’s a metabolic circuit designed to maximize calorie burn and increase metabolic rate during and after the workout by increasing EPOC. It also uses rest-based training, the idea being you push yourself as hard as you can until you simply have to take a break. Rest for as long as you need (but not longer!) and repeat. One great thing about metabolic training is its efficiency: you don’t have to work out for very long to burn a lot of calories. One nice thing about this circuit in particular is that it requires NO EQUIPMENT. Have too much work at the office this week to make it to the gym? No problem. Wake up 30 minutes early tomorrow and complete this circuit in your living room before heading to the office. Are you a stay at home mom without child care? Again, no problem. Carve out 30 minutes of nap time for your training. Note: This workout is NOT intended for 2nd and 3rd trimester pregnant women or postpartum moms who aren’t yet ready for intense training. The circuit may be suitable for women in their first trimester, depending on their fitness level and degree of comfort executing each exercise. 2. Knee repeater step ups. Use a chair, a bench, or the stairs. 30 seconds with right leg leading followed by 30 seconds with left leg leading. Go as quickly as you can! 4. 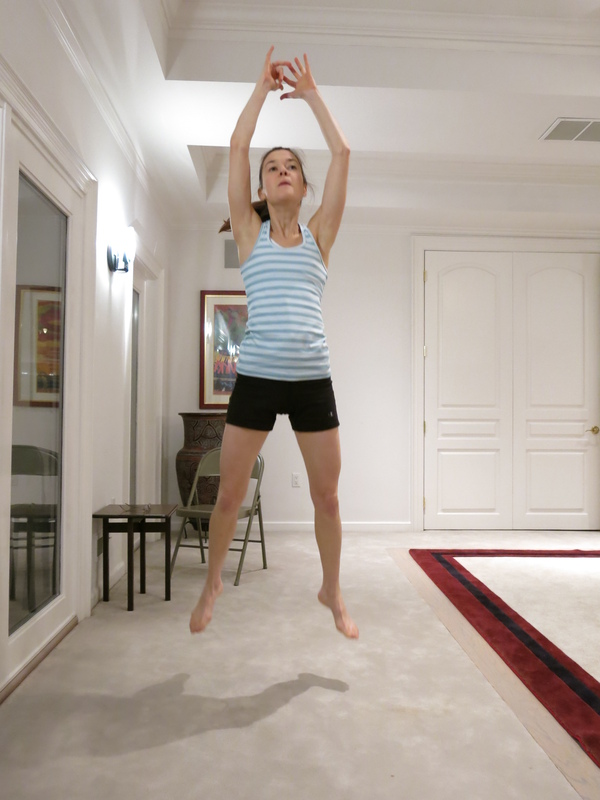 Squat jumps. 30 seconds. Jump as quickly and as powerfully as you can!